After testing the watch for few weeks, I found it to last for 2 days before the need to recharge. Such a smartwatch is really good for quickly reading received SMS messages, emails, notifications, etc. It came very handy for knowing who’s calling when the phone is on the silent mode and I’m in a meeting. It helps greatly when deciding to take or skip the call. It’s also very life-saving where you are sitting on your comfort couch and the phone beeps. You just flip your watch to know is there a real need to stand up and go get the phone, or just go back to enjoying your favorite movie. The S2 is sleek, compact, looks like a normal watch, and shines in daylight and night time. The front rotating bezel navigates through the available options, which makes the UI easier to understand and faster to achieve what you want to do. 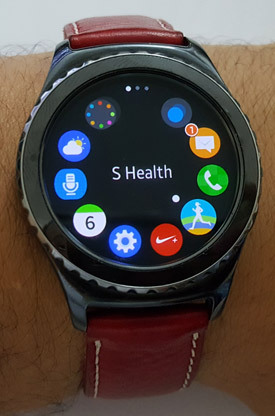 The S2 offers many watch faces to choose from, showing time, date, steps, news headlines, etc. The Gear S2’s has 1.2-inch, 360 x 360 pixels AMOLED touch screen that looks amazing even in direct sunlight. On the other hand, I did not like leather strap, specially when you have to wear the watch for long hours. 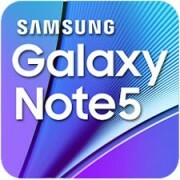 Samsung does not offer many color options to choose from, but the proprietary Samsung band connector allows for easily changing the bands to your liking. 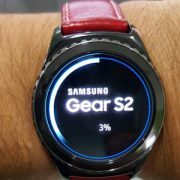 The Gear S2 comes in 3 variations: S2, S2 Classic, S2 3G. The Classic is the smallest in size, then comes the S2, then the 3G. The Classic (The one shown here in those photos taken with the Samsung Note 5 camera) is neither too small not too big. Protruding on the right side of the watch case are two buttons; the Home and Back. Neither elegant nor easy to use but they do the trick. You can control the watch and access the menu options with swipes, but the easier way is by turning the bezel. The watch bezel clicks while turning, with each click swiping a full-screen. Moving the bezel clockwise right will move the current screen selection to the right. When inside a menu or an app,moving to the right will have you scroll through the available options. The interface is easily to learn for the main tasks, but the nitty gritty side of things will have you looking it up. 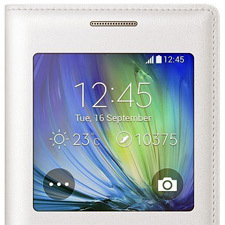 Tizen is the recent open-source operating system that is used by Samsung (to rival the Android) in some of its gadgets (and gain momentum as well). Problem is, same as you dear reader, not so many people know about Tizen. Hence the user-base is small, leading to a small number of available applications for end users to download – free or for a premium. That is changing, no doubt there, but at a slow pace. Make that VERY slow pace. 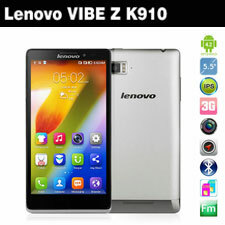 Result is when you buy a gadget that runs on Tizen, you are left with few apps to choose from. Samsung Gear S2 relies on a wireless charging dock, that clings to the watch really easy because a built-in magnet. The dock spans a status light that turns red or green depending on the charge status of your watch. Doing a full re-charge requires around 150 minutes, but you simply can’t use the watch afterwards. The S2 gets warm after charging it, and so you need to leave it to cool down for some time before you can put it on. A full charge can last 2 days easily. 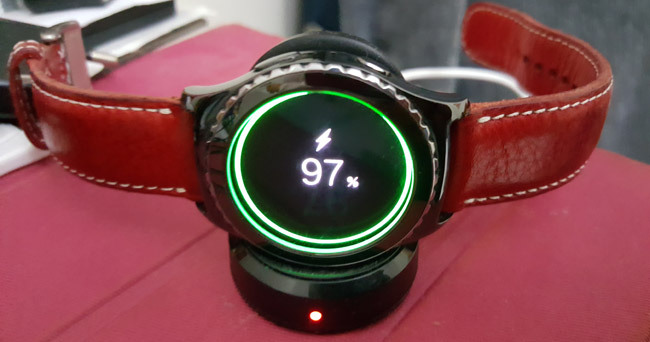 Should you need to go longer than 2 days before the need to recharge, the Gear S2 power saving mode switch the display into gray-scale mode, stops Wi-Fi, limits performance and only reports calls, notifications and messages. The downside is, there is no plug in the watch to recharge it using the usual USB cable as your phone. Meaning, no wireless dock = no power juice. 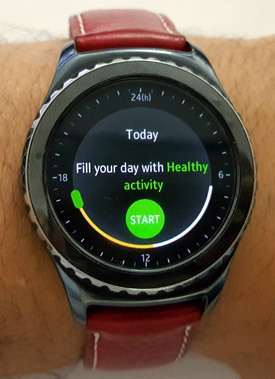 The Samsung Gear S2 offers a pedometer and heart-rate monitor, among other vital statistics. Along with the S Health App on my phone, I managed to track my hear-rate readings, steps, workout, etc. Gamification comes to mind, as I tried to outdo my numbers in walking and exercising. The watch would even notice when you for instance walk for some time and then would alert you to keep it and show you some support. The watch can also alert you when you stay still for too long. The Classic model is missing the GPS support, a feature many health apps rely on. If you were looking for a smart watch to replace your smartphone, you will have to wait for some time. The Gear S2 is mainly a nice addition to your mobile phone, complementing its functions, but not replacing it. I liked the Gear S2, but it leaves many things to wish for. I think of Gear S2 as Windows 3. A step in the right direction, but it’s not Windows 10 or 7 (or even XP). I’d rather wait on my old classic wrist watch for some time before replacing it with a Gear S any soon. 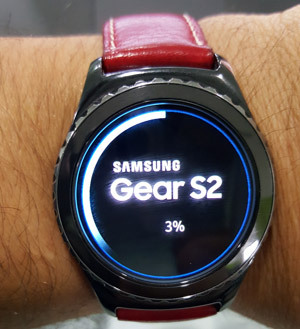 The Samsung Gear S2 thus far is not what the fans crave. They would appreciate more applications and perhaps a camera included in the watch. Oh, if only those wishes reach the ears of the smartwatch fairies!